The aim of this portal is to make internet a much more comfortable place for newcomers and people looking for Hindi Content. We have tried to make it as simple as possible so that first timers with limited knowledge can easily use it and make them selfs familiar with the internet. * Google Search in Hindi: Provides a very easy to use interface to type in hindi keywords to be used with google search. * Hindi Web directory: Users can look for various popular websites with hindi content. This currently have around 310 hindi sites listed. We also keep track of the popularity of these sites by recording the number of visits from users. 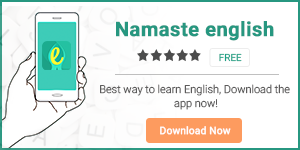 * Hindi-English dictionary: Provides hindi-english dictionary which currently have around 31200 words in the database. * News in Hindi: Currently provides news in hindi using BBC feed. * YouTube/Google video hindi video Aggregator: Provides links for various hindi videos (like kavi sammelan, comedy shows, shayari, bollywood songs) available on youtube and Google videos. * Hindi books collection: Aggregation of links to various hindi books available on internet. This can be used to read books available for free and also to buy books from the corresponding online book seller. * Hindi Keypad API: Provides API which can be used by webpages to take input in hindi.